There’s a certain satisfaction in bringing a motorcycle back from the brink. 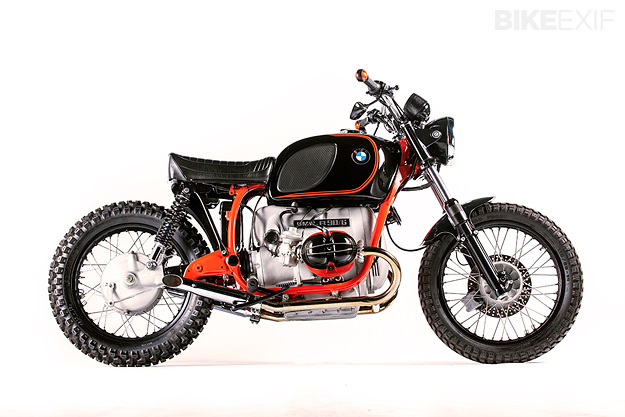 And Donovan Muller knows that feeling well: his 1974 BMW R90/6 was a rusted non-runner when he got hold of it. 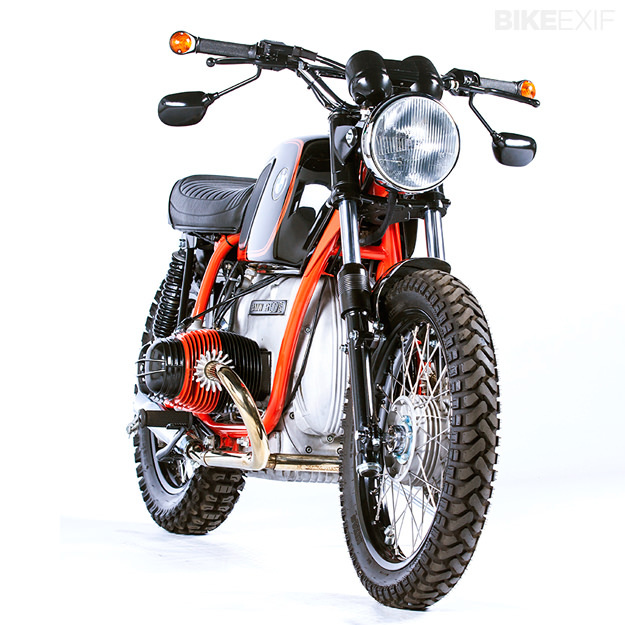 The idea was to build a bike that could sit somewhere between a café racer, scrambler and bobber, and be comfortable to ride. Thankfully, Donovan knows his way around an Airhead. For the past 16 years he’s been wrenching at Cytech—a family business established 38 years ago by his father, Ray. 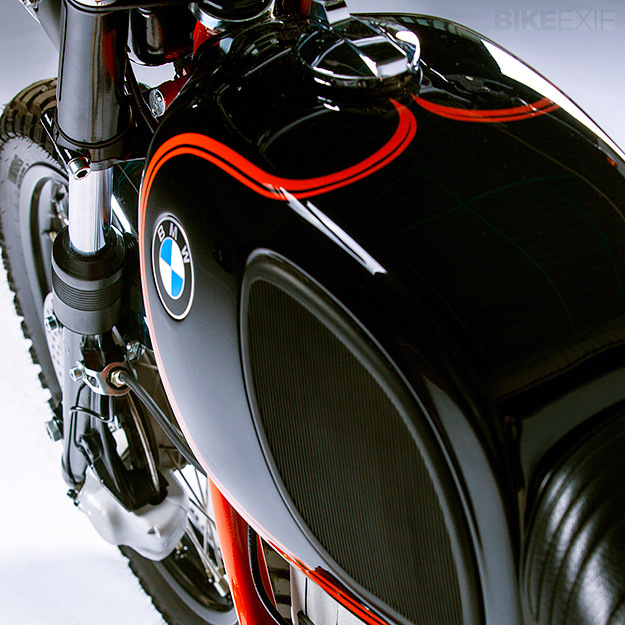 Based in Johannesburg, South Africa, they specialise in BMWs and adventure motorcycles. The R90’s engine was fully refurbished. The barrels, heads and valve covers were given a fresh coat of paint before the valve cover ‘fins’ were polished. 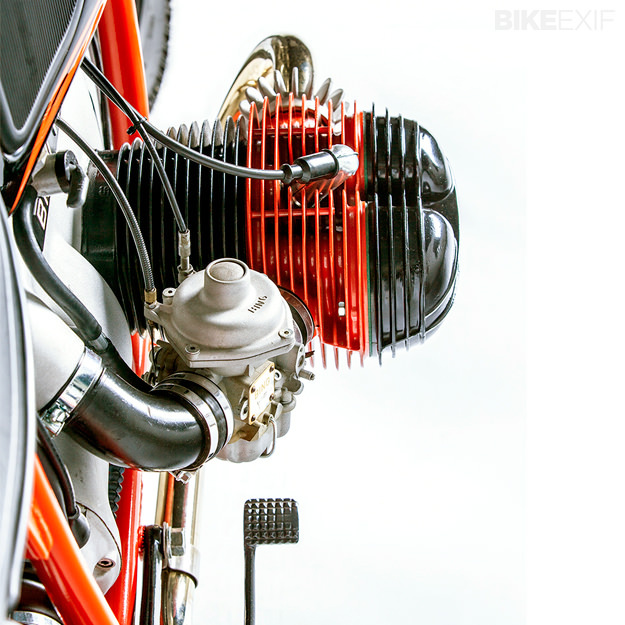 Donovan opted to retain the R90 air box, but installed a performance K&N filter and a smaller battery. Stainless steel headers with slash-cut silencers were added as well. The headlight, headlight ears and bar-end indicators are all original BMW parts, as are the clocks, which are mounted on a shortened bracket. The handlebars are chrome US-spec R50 units, with Magura grips. Another BMW part is the original police-issue solo seat, which now sports an integrated LED tail light. Both fenders are custom, as is the side stand. 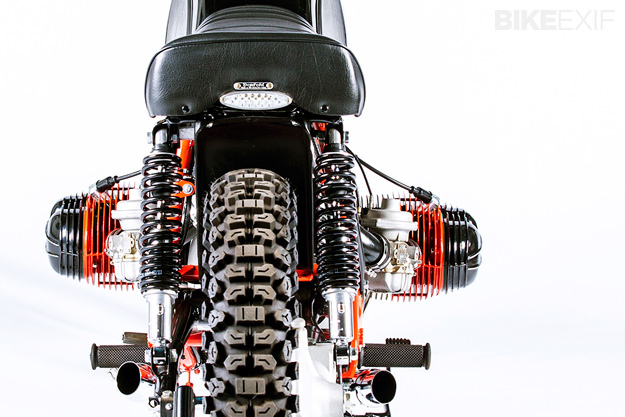 Donovan shortened the subframe and moved the shock mounts forward, increasing the angle of the rear suspension. The rims and hubs were powdercoated black, and laced with stainless steel spokes. They now roll on Mitas and Kenda rubber, at the front and rear respectively. Braking is enhanced slightly at the front with a braided stainless steel hose. The tank is finished in Midnight Black, with a chrome filler cap and a Naartjie* pinstripe that matches the frame. *Naartjie is the South African word for the citrus fruit know as a mandarin or tangerine.